List of Swiss newspapers for news and information on sports, entertainments, history, jobs, education, festivals, tourism, lifestyles, movies, real estate, business, and more. One of the most widely circulated Swiss newspapers based in Zurich. Leading German language Swiss daily newspaper published in Zurich. Leading German-language free daily newspaper published simultaneously in Berne, Zuirch, Lucerne, Basel, and St. Gallen. Switzerland's regional newspaper published in Canton of Aargau. National daily newspaper based in Zurich. Based in Lucerne Neue Luzerner Zeitung is one of the most popular newspapers in Switzerland. Regional editions published in Zug, Uri, Obwalden, Nidwalden, Schwyz. German-language daily newspaper based in Basel, Switzerland. The newspaper owned by Basler Zeitung Medien. Regional newspaper published in Basel. The newspaper covering economy, sports, movies, lifestyles, travel, and much more. One of most widely distributed regional newspaper published in the canton of Berne, Switzerland. Daily newspaper based in Biel/Bienne, Switzerland. The newspaper published in German language by Gassmann AG. Daily berliner format newspaper published in Bern, Switzerland. Regional newspaper published in St. Gallen, Switzerland. Regional newspaper published in Locarno, Switzerland. French edition of 20 minuten. One of the French-language newspapers published in Canton of Vaud, Switzerland. The newspaper published by Edipresse. Daily newspaper published in Lausanne, Switzerland. Regional newspaper based in Canton of Geneva, Switzerland. Swiss newspaper published in French-language. Regional daily newspaper published in Neuchâtel, Switzerland. Switzerland's daily newspaper based in Geneva. Daily regional newspaper of Canton of Valais, Switzerland. Leading regional newspaper published in Ticino, Switzerland. Regional newspaper published in Lugano, Switzerland. Regional newspaper of Bellinzona, Switzerland. Italian-language Socialist newspaper based in Zurich, Switzerland. 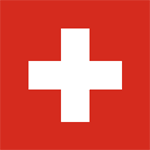 Swiss news and information site, a branch of the Swiss Broadcasting Corporation (SBC).